S S MUTHU CHETTIAR EDUCATIONAL CHARITY TRUST is located in RAJAPALAYAM Tamil Nadu . S S MUTHU CHETTIAR EDUCATIONAL CHARITY TRUST is registered as a Trust at RAJAPALAYAM of state Tamil Nadu with Ngo unique registration ID 'TN/2009/0019961' . 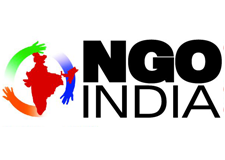 The NGO registration is done by Sub-Registrar with registration number 200800095/IV/2008 on the date of 27-02-2008, Its parent ORganaisation is PaulFoundation. The Chairman of S S MUTHU CHETTIAR EDUCATIONAL CHARITY TRUST is SADASIVAM M and Chief functionary officer is SADASIVAM M. Promoters are SATHYA S, RAJALAKSHMI M, ,.